November 6, 2018 | Filed under: Current Articles,Featured | Posted by: Alex A. How the NSBA Breeders Championship Futurity found the keys to Fort Knox for breeders and exhibitors. In an industry where futurity gimmicks are promoted monthly, spreading stallion owners and exhibitors thin on nomination and entry fees, it’s hard to find a stalwart program that has continued to flourish despite ever-changing industry dynamics. The National Snaffle Bit Association’s Breeders Championship Futurity is one such pillar that continues to stand out from the crowd. The BCF was created as an extra incentive for members and breeders as part of the NSBA. 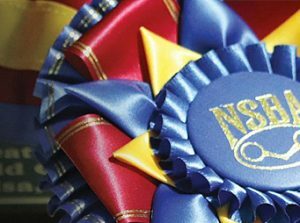 It’s a showcase within a showcase—held every year in conjunction with the NSBA World Championship Show. It was designed to appeal to all horse breeders, owners, trainers, and exhibitors. During its inaugural year, the BCF held its first classes with a foal crop from 2001 during the All American Quarter Horse Congress. Two years later, in 2003, the BCF moved to Tulsa, Oklahoma, where it later became part of the NSBA World Championship Show. “The BCF was designed to be a ‘user-friendly’ futurity, appealing to all pleasure horse breeders, owners, trainers, and exhibitors by offering a full slate of classes with paybacks going to a large number of participants,” says Stephanie Lynn, NSBA’s Director of Operations. Horses eligible for the BCF must have been sired by a stallion that was nominated into the program during its foaling year. Eligible horses can be enrolled any time between their weanling and 3-year-old years. Once enrolled, the owner of the foal will be sent a certificate of eligibility that must be presented in order to show in any BCF class. Horses can compete in the BCF from their yearling year to their 6-year-old year.